Materials with surfaces that can be switched from high/superhydrophobicity to superhydrophilicity are useful for myriad applications. 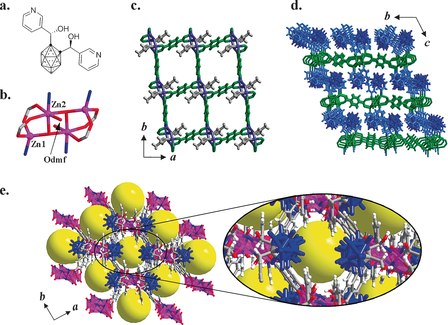 Herein, we report a metal–organic framework (MOF) assembled from ZnII ions, 1,4-benzenedicarboxylate, and a hydrophobic carborane-based linker. The MOF crystal-surface can be switched between hydrophobic and superhydrophilic through a chemical treatment to remove some of the building blocks.